The state of Wisconsin is great for bus travel, but sometimes you only need a bus for a couple months. When that happens, you can come to National Bus Sales for your bus leasing and rental needs. 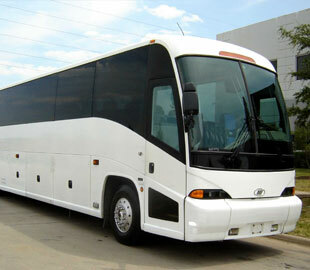 We have a large inventory of buses for lease and rent, including models from Starcraft, Federal Coach and Glaval. No matter what you're looking for, we are sure to accommodate. We have many buses with premium features, like A/C, lifts, audio/video and reclining seats. We have been in business for over 20 years because National Bus Sales offers the best bus leasing and rental options in the country, period! You can see that with our extensive selection and great customer service team. Our buses can handle as many as 84 passengers, so you don't have to worry about the size of your group. We are equipped to help you out. One of our main goals is to provide flexibility and versatility for our customers. 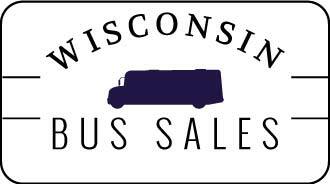 That is why we offer monthly and yearly bus rental and lease contracts for Wisconsin. We have TRAC leases, lease purchases, operating leases, and more. If you are going to rent or lease a bus from National Bus Sales, you will need a $2 million liability insurance policy. You will also need a licensed driver to operate the vehicle and a security deposit when you start your contract. We inspect all of our leased vehicles before they leave our lot, so you can trust that you're getting a good bus from the start. 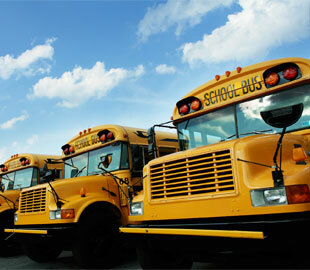 We also offer bus financing in Wisconsin if you would rather buy the bus you want to use. Complete a credit application on this website, and we will be in touch with you. Give National Bus Sales a call today @ 800.475.1439 to learn more about the buses available for you.